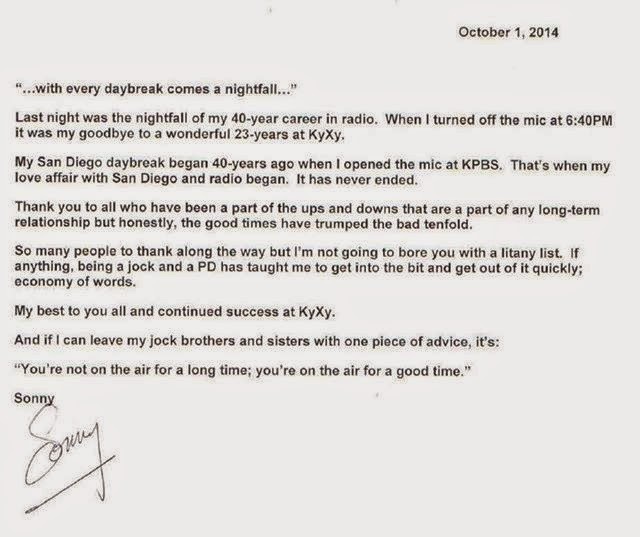 Sonny West announced the end of his tenure at KyXy with this touching letter on FB. Happy trails, Sonny! I enjoyed your work!